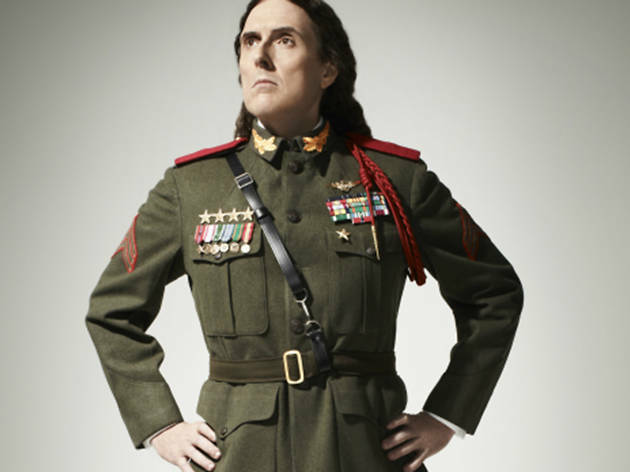 MTV might have launched “Weird Al” Yankovic to global stardom — with a little help from then-untouchable pop stars like Madonna and Michael Jackson — but today’s Internet fandom cemented his legend status. His latest comedic contribution, Mandatory Fun, premiered with eight new web videos rolled out over eight days, shattering records from YouTube to Spotify to Billboard’s Top 200 Album Chart, where it instantly hit #1 — the first comedy record to do so ever. So yes, that familiar face from your childhood and humble genius is worthy of our reverence. His shows are also a heck of a lot of fun and an incredible retrospective of four decades of pop history.